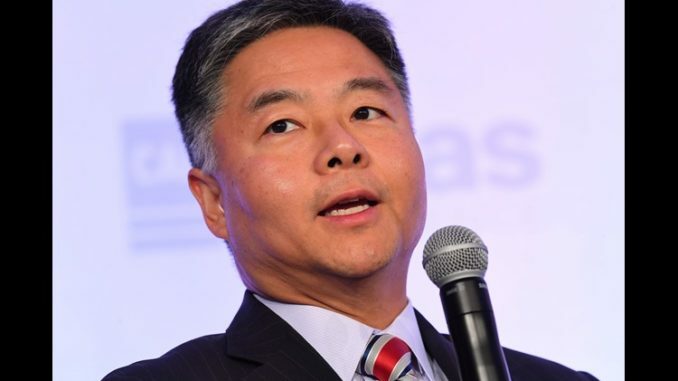 Democrat Rep. Ted Lieu boasted on Wednesday that he “would LOVE to be able to regulate the content of speech,” during an appearance on CNN. BRIANNA KEILAR, CNN HOST: The CEO of Google, Sundar Pichai, testifying before your committee about a number of concerns. You took an opportunity to push back on Republican claims of bias in Google searches. In the middle of this hearing you Googled Republican Steve Scalise, you Googled after that Republican Steve King to show that there were favorable stories, including from conservative outlets about Scalise, negative coverage of King, and you made the point essentially, that’s not because of a Google algorithm, it’s because of what these members do and say. I will say, it was — it was clever. It caught some attention. But I wonder, have you thought that maybe you and other Democrats have missed opportunities to use your time to press Google’s CEO at a time when these large tech companies are struggling to manage content perpetuating conspiracy theories, they’re so vulnerable to outside interference? Isn’t that a focus that could have been a missed opportunity? REP. TED LIEU (D-CA): So it’s a very good point you make. I would love, if I could have more than five minutes, to question witnesses. Unfortunately, I don’t get that opportunity. However, I would love to be able to regulate the content of speech. The First Amendment prevents me from doing so. And that’s simply a function of the First Amendment. But I think over the long run, it’s better that government does not regulate the content of speech. I would urge these private sector companies to regulate it better themselves. But it’s really nothing that I believe government can do. And so that’s been my position all along.